Barbaros Caddesi street in Mahmutlar, Alanya, Turkey. 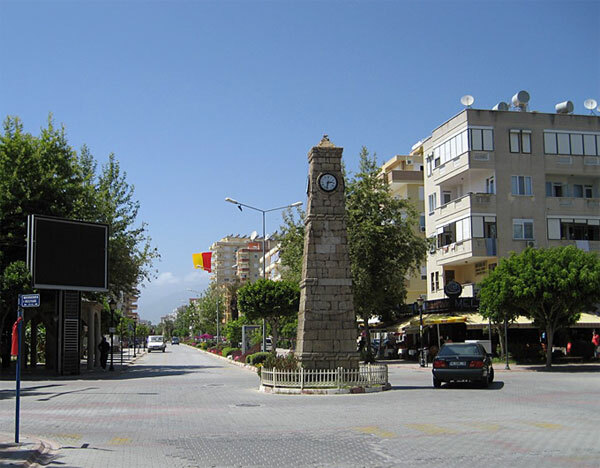 The clock tower is located at the intersection of the Barbaros street and Menderes Boulevard. Along the street run buses to the Alanya city. Mediterranean Sea coast is at a distance of approximately 200 meters from street. On the street are located many hotels, shops and restaurants. Picture taken during a trip to Turkey in May 2013. View resorts location on the tourist map of Turkey.